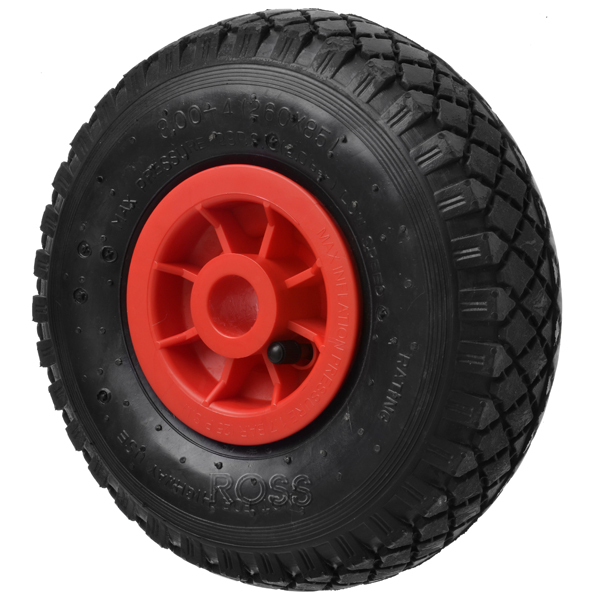 wheels are an extensive range of air filled pneumatic wheels ideal as a wheel barrow wheel replacements. Wheelbarrow wheels have chunky rubber tyres suitable to use in a variety of outdoor applications. We have a huge range to choose from, with a variety of sizes, from air filled pneumatic wheels to puncture proof wheelbarrow wheels, that are flat free! These wheelbarrow wheels are for low speed applications, and can be supplied with either plastic or metal centres. You can choose wheelbarrow wheels either with internal bearings or without, to suit 4 different axle sizes. How to Choose the Right Wheelbarrow Wheel - Check out our You Tube Guide which is a great video explaing what to measure to get the right wheelbarrow wheel for you!